This week I’m reviewing a pair of Sam Adam’s finest; the last new offering from the spring variety pack today, and later this week will be the first new offering from the summer selection. The last of the spring bunch is the Maple Pecan Porter, and boy does this beer live up to its name. 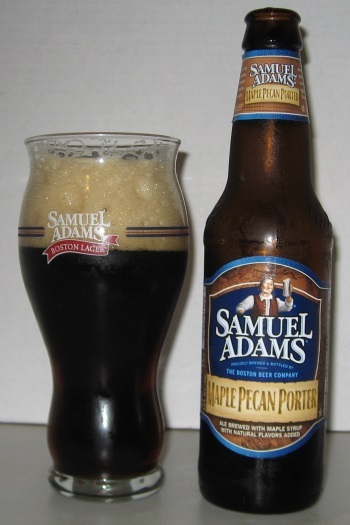 The head is thick and creamy, and the nose smells like pecan pie drenched in maple syrup. There are some spices in there as well, maybe some cinnamon and cloves. The body is medium to heavy, as you’d expect from a porter. There’s more sugary sweet syrup in the middle along with a bit of coffee, and it fades to a pleasantly bitter roasty, nutty finish. This is kind of a gimmicky beer and there really isn’t a lot to it other than the signature ingredients, but it’s fun and tasty and unique. The flavors are strong and different enough that it isn’t going to be for everybody, but it’s worth a try to experience it and hey, you may find out that it’s the perfect beer for you. This entry was posted in Reviews on April 30, 2013 by Xander. 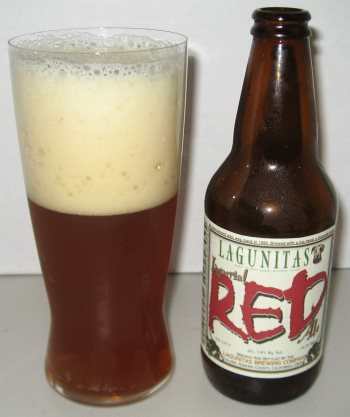 Imperial Red Ale is a limited release red ale from the Lagunitas Brewing Company that they say is a reconstruction of the very first beer they ever brewed. It’s a big malty red ale, and the nose is heavy with earth and honey. It’s a full-bodied ale, and sticky sweet in the middle with caramel and honey, and the finish lingers on the tongue with orange and ginger, with the first hint of bitterness this beer offers, with just a touch of rind. The bottom line is that this is a delicious malty treat. This entry was posted in Reviews on April 23, 2013 by Xander. I love rye ales, and I love Bell’s, so this beer was destined to be good. 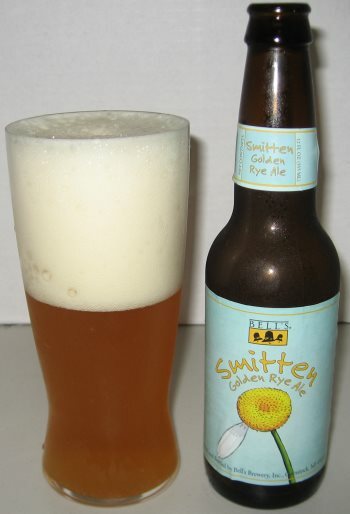 Smitten is an American Pale Ale brewed with rye, as it’s name indicates. 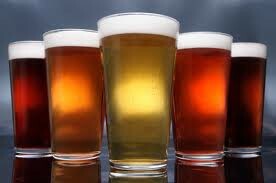 It starts by pouring a beautiful unfiltered golden hue. The notes are of grain and toast with some floral and pine in the background. There’s a lot of malt in this beer but the hops are in the forefront. There’s orange and pine, withe hops coming through as bread and caramel. The finish is slightly sweet and this is where the flavor of the rye really shines. Overall, the flavor has some very nice components, but could use a little more complexity. A very enjoyable beer for the hoppy-pale ale fan, and the rye is a nice twist on the style. This entry was posted in Reviews on April 19, 2013 by Xander. 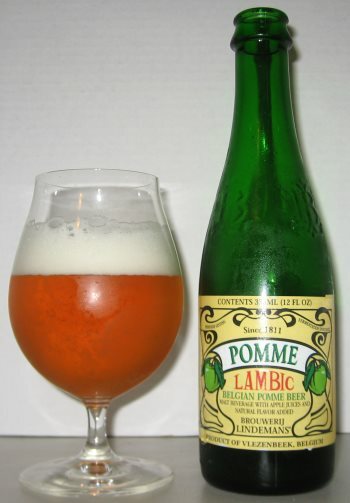 A nice cold apple lambic is the perfect prescription for a warm spring evening. The bottle is capped and corked, so be sure to have both a bottle opener and a corkscrew handy if you’re planning on enjoying one of these. 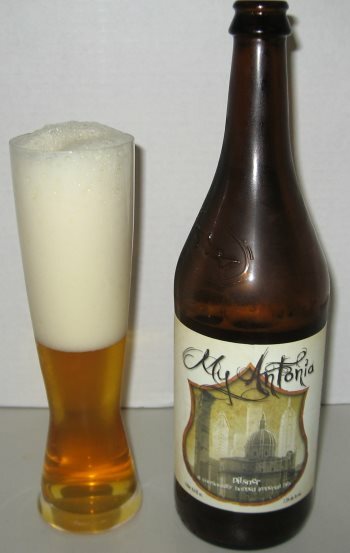 The head is typically light and fizzy and disappears fairly rapidly. The nose is heavy with the wild yeast that marks the style, and the taste is big, very tart apples that fade into a sugary finish. There’s not as much complexity here as is some of Lindeman’s other offerings, but it’s a straight-forward enjoyable drink from the fruity end of the beer scale. This entry was posted in Reviews on April 16, 2013 by Xander. 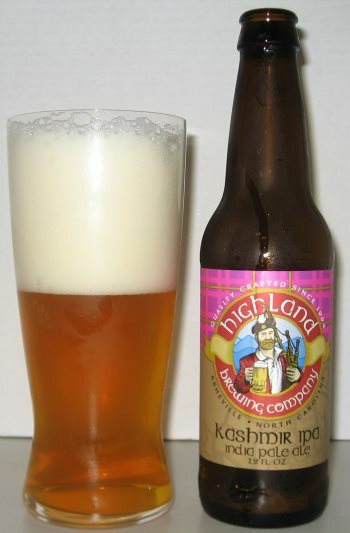 Kashmir IPA from Asheville’s Highland Brewing Company is an English-style IPA, which more spice and less pine than you’d find an American west-coast style IPA. The scent is of toasted grain and lemon, and there’s quite a lot of citrus (predominantly orange) in the flavor as well, all the way through the finish which has warm, bitter orange rind notes. It’s a fairly full bodied beer, but with a relatively low alcohol content at 6% ABV. It’s not as bitter as some IPAs, but it’s definitely bitter and a really well crafted English IPA. This entry was posted in Reviews on April 12, 2013 by Xander. 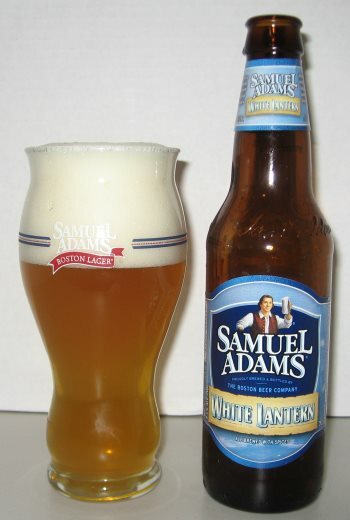 One of the beers in the Sam Adams spring variety pack this year is a Belgian White Ale called White Lantern. As one would expect with a white beer, the base is quite mild and the bottle tells me that the flavor comes from tangerines and orange peel, and coriander and Grains of Paradise. There is a bit of tangerine, and a bit of spice, but not really a lot. There’s a good bit of butteriness, which makes me wonder if this beer’s not just a bit off. In any case, I’m not terribly impressed. This entry was posted in Reviews on April 9, 2013 by Xander.